Holidays in Majorca bring you a combination of golden sandy beaches, pretty fishing villages, and a lively capital with a cosmopolitan feel. The largest of Spain’s Balearic Islands, this scenic retreat has something on offer for couples, families, and explorers alike. Spend your days taking in the beauty of the beaches and large sweeping bays, admiring the historic architecture of the towns or eating and drinking to your heart’s content. Those wanting to enjoy a lively break with everything at their fingertips will love the island’s capital of Palma. Here you’ll find a spectacular cathedral, lively marina and a swathe of shops for every taste. 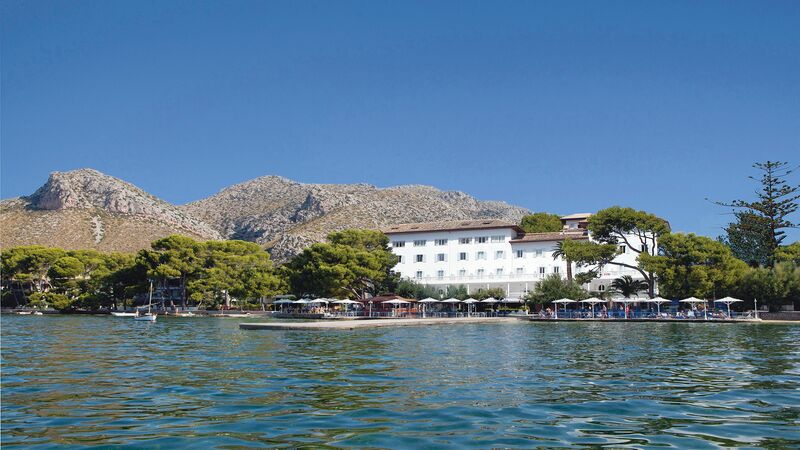 Pollensa and Puerto Pollensa, are located on the northern tip and are home to spectacular beauty, in both the stone buildings of the town and the wide sweeping bay along the coast. Those wanting to enjoy a blend of old and new should head to Alcudia, while Deia is one of the most beautiful towns in Spain, surrounded by fertile mountains. 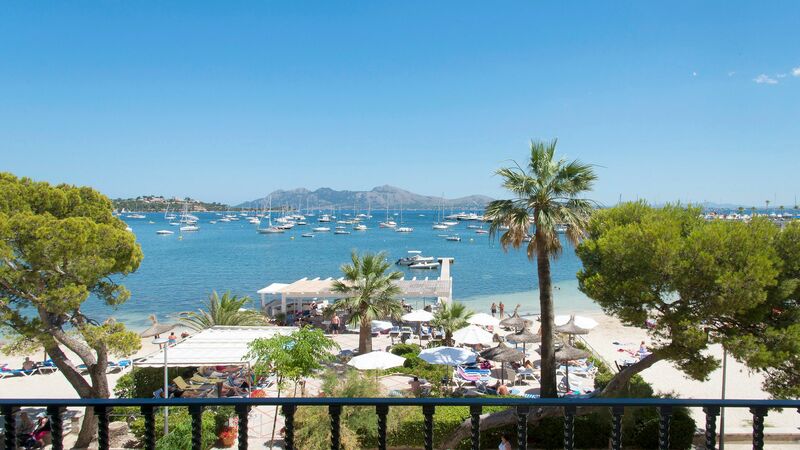 Luxury holidays in Majorca bring you a combination of history, cuisine and amenities. Head into the mountains for rugged landscapes, hiking and biking, or stay along the coast and make the most of golden sands and incredible seafood restaurants. The island’s capital, Palma, is home to fascinating history and excellent opportunities for shopping, while there’s plenty available for those who love watersports and golf as well. 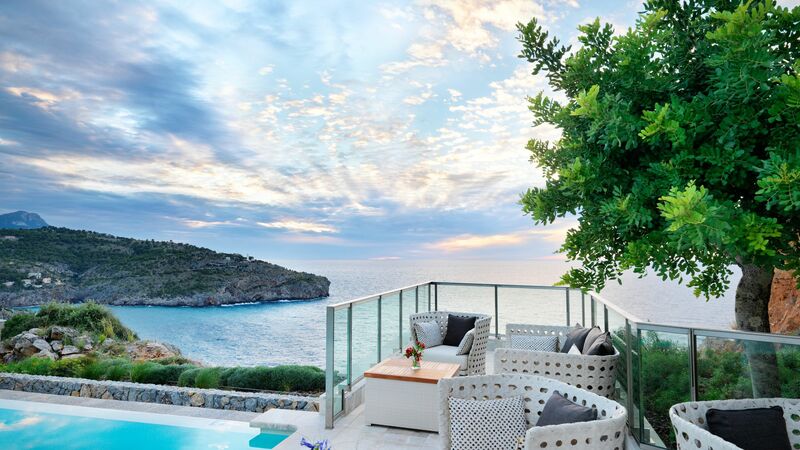 Book your luxury holidays in Majorca with Sovereign for a fantastic selection of hotels. We’ve put together a list of our favourite hotels on the island, with something for everyone to enjoy. Families will love the large complexes which are full of amenities, including children’s clubs and watersports, while couples will find romantic hotels with spas, infinity pools, and world class restaurants. Book your holiday with us and relax, knowing each hotel has been tried and tested by a member of our team. The Tramuntana Mountains jag along the north-west coast of Majorca, serving up cloistered fishing villages and seaside artists’ escapes on one side and caramel mountaintop towns and vertiginous vineyards on the other. Valldemossa is a cluster of art galleries and museums with links to Chopin; Deia is a historic artists’ retreat well-loved by the writer Robert Graves; and hilltop Soller is linked to Port Soller via a vintage tram line. Travelling around here is easy, thanks to a tourist-friendly network of buses, trains, cycle routes and footpaths. Palma is the grande dame of Majorca – an island capital that collects golden churches, boutique-lined boulevards, palm gardens and a bar-laden old quarter under its wing. Put Palma Cathedral at the top of your to-see list. This Gothic behemoth towers over the waterfront, showing off a king-sized rose window and Catalan Modernist elements designed by Barcelona darling Antoni Gaudi. Follow a tour of the cathedral with an amble around the old quarter that spills out from the cathedral doors.Serious shoppers should make tracks for the boutiques on Passeig des Born and Avinguda Jaume III. The Caves of Drach are carved out of limestone on Majorca's east coast. Tours take you through the caverns, past spiky stalactites and stalagmites, and include a boat trip on a huge subterranean lake. The highlight, though, is the live concert. A quartet of musicians performs a selection of classical music, which is amplified by the natural acoustics of the caves. The train journey from Palma to Soller is a Majorcan must-do. You'll board an old-fashioned train, then chug slowly through the countryside and up through the Tramuntana mountains. Once you've explored Soller, catch the Orange Express tram through citrus groves to Port Soller. North-easterly Alcudia balances between two horseshoe bays. Museums and medieval monuments top the old town, while the modern centre lays out a marina and golf club by the beach. Little Cala San Vicente is one of the most northerly villages in Majorca, easing sea-view hotels and restaurants between rocky mountains and a forked coastline of sandy coves. Costa d’en Blanes climbs down from the hills just south-west of the grand Majorcan capital, Palma. It’s far removed from city life, serving up relaxed beachside hotels and marina-view restaurants. Artists’ houses, a hilltop church, flowering café terraces, almond groves – Deia must be one of the prettiest villages in mountainous northern Majorca. The finishing touch? Pint-sized Cala Deia beach. Illetes rests south-west of Cala Major, where sandy coves chip the coastline and pine-topped islands float offshore. There’s also a designer golf course that’s a favourite with celebrities and royals. Instead of flying into Palma and rushing off to a beach resort, pause in Majorca’s sophisticated capital city. A Gothic cathedral, Michelin-starred restaurants and honeyed sandstone squares star. Playa de Muro is the longest beach in Majorca, stretching for six miles along Alcudia Bay. It ranges from hotel-lined sands to the wild sandy trails of S’Albufera Natural Park. Pollensa takes shelter in the bumpy countryside of northern Majorca. The town packs a cultural punch, dishing up a crumbling Roman bridge, café-sprinkled old town and green-shuttered artists’ houses. 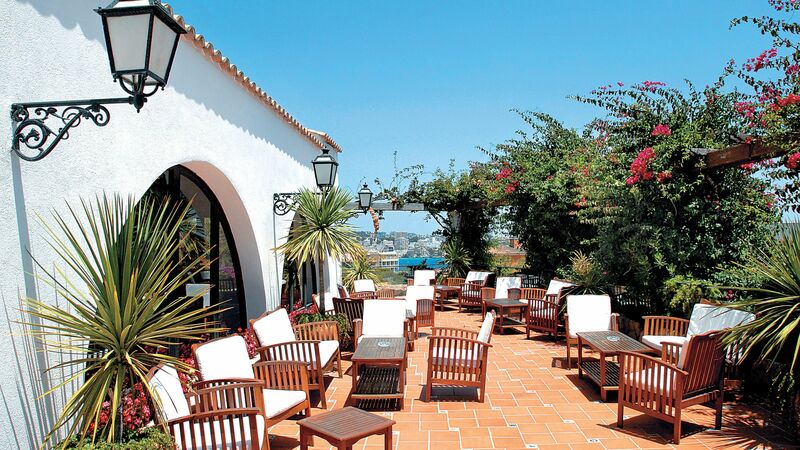 Just along the coast from Palma, Portals Nous delivers chill-out lounge bars and clifftop hotels, as well as a petite sandy beach tucked into a cove. The pine-coated coastline around fishing village Porto Petro constantly twists and turns, dishing up gold-sand coves, clifftop hotels and sheltered harbours. Sleepy Port Soller is caught between a sandy bay and the northern Tramuntana Mountains. An antique wooden tram runs from the waterfront to the postcard-pretty old town of Soller. Puerto Pollensa is a few miles east of the Roman village of Pollensa. The palm-brushed promenade serves up hotels and restaurants on one side and a beach on the other. Majorca is Spain’s largest Balearic island and an ideal family holiday destination. Explore the island’s pristine beaches and ancient history, rugged mountain scenery and fishing villages. Majorca’s cuisine is classically Spanish, and although you’ll find a huge choice of international food, it’s worth seeking out some traditional dishes to get a real flavour of the island. Locals love hearty, traditional stews based on old peasant food, made using local ingredients like spicy sausage (sobrassada or chorizo) and fresh seafood. Salted cod, squid, fresh oysters – it comes straight from the net to your plate, every day. Ensaymadas are a typical Majorcan treat – make sure you go out and try the real deal from a local bakery. They can be served with a sweet pumpkin, cream or apricot filling, or you can have them plain with a dusting of powdered sugar.